Digitization is a wonderful thing, particularly if you’re among those who have had to stand in serpentine queues outside a government office. 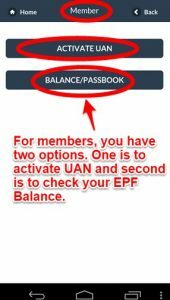 For EPF members who have an activated UAN, you longer need to visit an office for your EPF passbook. With no more than a few clicks or taps on a computer or smartphone, you can obtain your UAN passbook online. Through this site you can download you UAN passbook as well as check you EPF balance. The process of viewing your passbook on the UAN member portal is fairly easy and intuitive. To make the process simpler still, we’ve outlined the basic steps in the paragraphs below. Your EPF passbook provides information about all the transactions that have occurred in your EPF account. It provides details about your own and your employer’s contributions, as well as contributions made towards the employee pension scheme. It also carries information about partial withdrawals, if any. The UAN passbook is also the preferred tool for checking your current PF status. So how does an employee view and/or download their UAN passbook? The important thing to bear in mind before you attempt to access your UAN passbook is that you should have your UAN. The UAN is allotted by the EPFO to every employee. To access your UAN passbook, you must also make sure that the UAN is activated. If you need to first activate your UAN, check out our UAN Login article for more details. After you have activated your UAN, you can log in to the EPFO’s Member e-Sewa portal to download your UAN passbook. Access the UAN member portal in your internet browser. Under the text “For Employees”, click UAN Member e-Sewa. Enter your UAN, password and the captcha code, and click on Sign in. Click on the Download tab on the menu bar. Your UAN passbook will be downloaded onto your computer in PDF format. While the mobile app is the preferred way to check your PF status, you can use it to view your passbook, too. Consider an example where you’ve changed jobs recently and have just started working at your new job. You want to know what your employer contribution was at your previous workplace. It seems like your current employer’s contribution may be less than what it was at your previous company. So how do you compare the two employer’s contributions without raising an unnecessary hue and cry? Download the EPFO’s mobile app and have a look at your EPF passbook. The mobile app allows you to view your EPF transactions for up to 7 months in the past. Therefore, if you’ve recently shifted to a new job, you should be able to check your previous employer’s contribution. This would help you compare the two and take up the matter with your company’s HR or finance team if necessary. The mobile app is presently only available for the Android OS. However, the EPFO is working hard to bring out an iOS version soon. You can download the current version of the app from the EPFO website directly. In conclusion, here’s how you can check your EPF passbook via the mobile application. 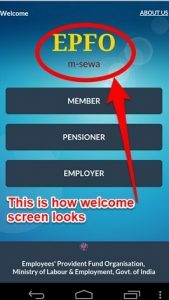 On the welcome screen of the app, tap on Member. The next screen offers two options: Activate UAN and Balance/Passbook. If you haven’t already activated your UAN, then tap on the Activate UAN tab. With an activated UAN in the bag, tap on Balance/Passbook. On the next screen, enter your 12-digit UAN and your mobile number. Then, tap Show. Your member details (member id, name, date of birth etc.) will be displayed on the next screen. Tap on the View Passbook tab at the bottom. The UAN passbook provides detailed month-wise and date-wise transaction information. It is an excellent tool to manage your EPF account effectively. Consider activating your UAN today to view your UAN passbook online or through your mobile app. If you want to avoid the hassles of visiting an EPFO office, UAN activation is the best way. Do remember that your passbook will be available online only if your employer has updated the challan and return. UAN passbook is a wonderful facility for all EPF members. For more information on EPF rules and updates, PF status and PF withdrawal, check out our posts on these topics. Visit our website often for the most up-to-date information on EPF. If you found this information useful, please share it with your friends and family. Also, please leave your comments in the box below. We’d love to hear from you! > I give the UAN number with pwd, then gives the “Closed connection” error came. > Forgot password also gives error..
it is also not working. And download & see your last update Pf….. The website you mentioned also can’t be opened…..msg showing “Blocked by GNOC Team, EPFO”…. UAN Member portal not open properly I am unable to see my present PF balance,its shows net work error. uanmembers.epfoservices.in took too long to respond. This is an fake link just to capture your original user/password. Don’t provide user/password at this url. Every-time it’s showing “This Site can’t be reached” All is in Vain. this totally waste of time. Wake up Govt of India. First make all government internet portal up and running all days to meet 100% digital transaction. Sir, Aap PF office jaye or waha se apni detail prapt karne ka kasht kare. UAN member site not open please suggest. It’s working fine for me now. I’ve been trying to open this site and also call the UAN toll-free number… Both don’t seem to be working… Is there an alternate way to check status ? Uanmember.epfoservice.in site not open in my mobile.what reason ? Sir uan site can’t reached properly. It’s shows an network error problem. So what’s the next procedure for download passbook. ? Uan portal site is not opening from last few days. It shows network error. Please solve that problem. UAN Vadi Modda Gudu ra. Naa Modda Avutundi Inka ee web site. UAN Members portal is not working quite longer time and unable to check the PF balance. since last 10 times i am trying to download my uan passbook. this site never works. what is the use of having a site like this ? i continuously try but server down n passbook not downladed plz guide me. web site is not working. Please do needful. UAN member site not working long time ? Please Share the reason. Una portal is not opened, why probleme please tell us. Site uanmembers.epfoservices.in is down for everyone, it is not just you. UAN member site not working. EPFO when we open this site to login UAN portal it is showing as Error. Please tell us when we’ll login the UAN member portal, Still how many days it will take. I have to update KYC details , so that I can receive the amount. Any idea where to mail for activation of this site (http://uanmembers.epfoservices.in/) or to PMO or to digital India initiative??? pradhan mantri kaise digital ho payega india…. WHY UAN MEMBER PORTAL SITE NOT OPEN. I AM TRYING FROM LAST 3-4 DAYS BUT ALL IN VAIN. PLEASE SUGGEST ME WHAT IS HAPPENING NOW A DAYS. UAN Site is not working since almost last 15-20 days. Unable check PF Balance….since.Last Dec…. is there any IT personal in PF office to rectify the ERROR… or Why the IP portal has been modified… if it is not working ? after so many days the site https://unifiedportal-mem.epfindia.gov.in/memberinterface/ is working today. A blot on digital india intiative. my a/c is no not showing accurate. Few months back i changed the company and i have transferred the pf amount into new pf account. i checked in the epf portal and epf passbook showing only employee share ,employer share,not showing the pf contribution amount. please help me. actually my pf contribution amount is 47000k. This website is not working from last some time, please resolved this. Ye hai kya achhe din!!!!!! Digital India ha ha ha……..
Cash less ecconomy etc etc.???????? I TRY MANY TIMES BUT NOT OPEN UAN MEMBER PORTAL WEB SITE PLEASE DO THE NEED FULL …………..
uanmembers.epfoservices.in This site not working. I TRY MANY TIMES TO OPEN UANMEMBER WEBSITE, BUT NO RESULT FROM WEB IF ANY OTHER SIDE PLEASE REPLY. Every time i had tried to view UAN but did not work either. Please help us OUT GOV of INDIA..
Every user is affected and in trouble.. I have been trying since last month and same error message i got even i have strong network speed. And we are promoting Digital India.Where a govt website is not working properly for more than a month.Not a single link of EPFO is working.It’s really very disappointing. I TRY TO MANY TIMES OF DOWNLOAD OF E-PASSBOOK FROM UAN SITE. PLEASE ADVICE TO ME FOR OPEN E-PASSBOOK. Sir I am working GTPL company in which of 2013 to March 2016.Sir company is cut of pf for both site in my salary. Sir my pf is Rs.29000 Are cutting and only my pf is show Rs. 19000 in my epf e passbook. Kindly solve my matter as per as possible. The pension amount is not merged in calculation. So, the amount shown is only your’s contribution and employer share. The pension amount is shown separetly. i was trying UAN log in page but unfortunately site is not working, as i have seen the another member comment, it seems it is not working from long day, and it is totally unacceptable thing in the digital era, website is not working from long time, related person should act immediately for better service. this site not be working. how long will it be operational ????? This Link will works ..
Use below Link to Access UAN Portal. This link is down now a days. Do you have any alternative??? I have been tried to open UAN member web to see my balance in pass book, but no results from web. kindly give me a suggest please. Employee Provident Fund A/c No not given online processing. Please my a/c number mail by my email id. UAN member site not working plz since past 1 month. website: http://uanmembers.epfoservices.in is not working always show this error ” This site can’t be reached”. I got this site working and downloaded passbook. Site was not working from last 1+ Month ?????? UAN member portal is not working since 17th of December. Means its not working for past month and above. What is our government doing ??? Shame on our goverment officer’s. UNA Number is not opned, why problem please tell us. Same here. It was getting opened 2 months back but at that time also, I was not able to download the passbook. I am really not aware wheather my earlier employer’s PF is transferred or not..
UAN portal is not working. Someone from UAN team update us. I was tiring to open EPF site but from Nov 2016 , i am unable to open , please suggest for the download UAN passbook . i am tying to open my passbook since last or two months but always there is a nework error or site cant be reached error…. Site is not open properly showing time out plese slove it. Any one is there from EPFO office who seen these comments? I don’t think so. They don’t need to solve our problems. That’s our government and there sites. I TRY MANY TIMES TO OPEN UAN MEMBER WEBSITE, BUT NO RESULT FROM WEB IF ANY OTHER SIDE PLEASE REPLY. The Government of India say all digitalization. But not work in government site only. last several day PF UAN pass book site not opened but no response. EPF board is powerful Govt.India department but not rectified the problem. Minimum Pension Rs.5000/- Per month for all private pf employees. The Government of India say all digitalization. But not work in government site only. last several day PF UAN pass book site not opened but no response. EPF board is powerful Govt.India department but not rectified the problem. Rs.2200/- Per month for all private pf employees. hii.. i have my UNA no.. but i forget my my password & also my registered number is changed then how can i open mu account.. plz help me. uan site is not open, Every-time it’s showing “This Site can’t be reached” All is in Vain. this totally waste of time. The site has not been working since December. That is a very long time for a Government portal website to be down. Esp when it concerns people’s hard earned money. If any of the authorities give us an estimate time as to when the website would be back up , it would be great. Thanks! Also if any of you guys(users) find that the site is working. DO mention in comment, it would benefit others. UAN Site not opening. Please let me know if the site is really down? If so how can I get the passbook. after so many days the site https://unifiedportal-mem.epfindia.gov.in/memberinterface/ is not working. Please advise me proper link for UAN login portal as all portals are not working properly. Is this a Modi Govt. Scam- Why UAS services are not available from last three months ? The Government of India say all digitalization. But not work in government site only. Not few days last more than 5 months PF UAN pass book site not opened but no response. Are u worked or not????????????????? y this site is not working and what is the use of digitalization. how to know my PF transfer claim status. Since last six months I am trying to download my PF passbook through UAN member portal. But, I am unable to do so. I think there is some problem in the site. Request to please look into the matter and sort out the problem. Can you please act immediately..
always under maintenance… you should not call this as “version upgrade” , its nothing but utter non-sense. Please start working your website, so we can update AADHAR Card and PAN Details. I am not see my PF balance . How I will check my PF balance please help me..
trying to know my pf balance since last 3 days but this site always gives error !!!! Is this what you call as Digital India …Earlier version was quite helpful and transparent . Everytime trying to login or register get stuck some where . Really do not understand how people can be so quiet about it !!!!! And No one in authority is trying to do their job !!! description The requested resource (/UANHD/) is not available. How long it will take to open the site……………………. Uan portal site is not opening from last 30 days. It shows network error. Please solve that problem. FIRST OF ALL WHATEVER THE PORTAL ARE AVAILABLE TO SALARIED EMPLOYEE MAKE THEM PROPERLY WORKING …..march is coming on the way ..ALMOST financial year ending …how can we check our PF balanace. ?.also if we are joining new organization…… how can we transfer the PF to new employer ?…SINCE DEC 2016 NOT ASINGLE SITE IS OPENING OR NOT ACCESSIBLE …..
Disgusting services by govt. KUCH ACCHE DIN ANE WALE NAI HAI…HER KOI CUTYA BANANE MEIN LAGA HAI…. Very much problem.. not working .pls tell me actual reason..
i am unable to login EPFO website, site not at all opening from last 2 months, so please let me know when it will be up. Utter nonsense… Is there any alternative to get passbook? WHy UAN SIte not working fromlast 2 month. Uan unable to login last 2 month so plz let me know when it will be up…..
UAN site not working since last 2 months. after putting the UAN number and password with captcha message received is “Closed connection” error came. I am unable to login EPFO (UAN) website, site not at all opening from last 2 months, so please let me know when it will be up. I am trying from past 4 months and this site is not opening. are these EPFO office is alive or what!! I have a doubt!!! Still till today, site is not opening. UAN site not working since 2-3 months. Which is the correct url to check my pf. Damn .. no sites are working… what the hell GOvt of India doing? Site (https://unifiedportal-mem.epfindia.gov.in/memberinterface/) is now working, however, Download Passbook option is not ready yet. You can play with other options. I have used ePFO app on mobile and using UAN/mobile number I am able to get the passbook on mobile. Any information how much time it will take to make site fully functional. Dont, worry for your pf amount woh toh every month apke pf account me deposite hojayenge dont waste your time by checking daily the site is under maintenance they are making the security strong for the amount of pf members kept to be in safe from the hackers if your kyc and uan number is registered with ur mobile number than dail this number with ur registered pf mobile number 01122901406. the number wil ring twice and it wil be disconnect and u wil get the msg of ur pf amount try it. Member Portal is under maintenance for resolving the performance/slowness related issues and updated member passbooks will be made available by 03-March-2017. Unified portal(EMP/Fointerface) application services will not be avilable till 1:00 pm.As per directed by CDAC team. UAN portal is not working last two month since. Please resolve the problem after i’m check the balance status. since last year am not able to download my pf passbook, neither can check pf balance, link is not working what is going on. Last three months PF sites are not properly operated by PF office. when are they going to regularize? Yes, below url opens and you can login with you UAN number & password. but passbook download is not available. it says”will be made available soon” when??? no idea. Not able to login to UAN account , tried to create new password not able to create new password as well. Page showing password is failed…Please help. I want to download my passbook. UAN Sites were not opening for the past several months. I need to transfer my PF Account to another and trying for past 03 Months but no use in it. Hope that they dont even bother to rectify the error. This too behaves like a normal govt organizations. This is so ridiculous !!! from last 3 months a government maintenance website is out of service continuously but salary contribution never stop. How can I confirmed my contribution is go to properly. We are living in india .. Sites will not open … like that Indian govt maintain web sites and database . All govts said we will make digital India ….But all are coming from under one umbrella ..
SITE NOT WORKING SINCE A YEAR ! Please humbly and recepect fully.sir i”m vishundev pandit my uan number 100567007920 .my fone no 9643118625 is not ragister .sir please my fone no ragester is uan no. WHY THE SITE IS NOT WORKING ??? member portal page not open. what happen with this page. please sir do something. Same issue I am facing from Nov/Dec2016 and trying every week to see if its up or not. As this is a government website it should not be down for this long , but the reason is as its a government website that’s the only reason its down for this long. I don’t UAN employees even bother for this if its working or not, I have requested to update my D.O.B and father name in UAN employee detail with all formalities and its 4 months no result no message nothing from there side, whether it will change or pending due to what reason. I don’t know when this system will work as it should. when the side re-open because i want to change my phone no. with uan no. i tried last 15 days but no result come up. I have been trying to connect toll free number after performing multiple unsuccessful attempt to open the website. Is there any other way to know the Pf account passbook download. UAN website not open properly. This site shows error !!!!!!! When it will be restored ?????? UAN website not open properly. Please do not share your EPF nos on this portal. The website is under maintenance for calculating the interest for the fiscal year. Please check your details after 31st March. Member Portal will open on 24 March 2017 at 05.00 PM Member Passbook is available at epfindia.gov.in>>Our Services>>For employees>>Member Passbook. Field Office Interface will be made available only Saturday and Sunday. very-time it’s showing “This Site can’t be reached and try later”. This is totally waste of time. What the hell .this site not opening from past 4monts what we do.plz epfo take some care abot epfmembers. I am unable login on UAN member portal. Please suggest. After, opening page when I clicked on view Passbook. But, when I entered UAN number and password it gives me invalid UAN number and password. Anyone knows what can be the issue ? PASS BOOK UPDATE NAHI DIKHA RAHA HAI.PLESSE UPDATE MY PASS BOOK. Please help. I want to download my passbook, It is very urgent. The UAN member portal in is not opening from many days. I am unable to see my account. Please help me as soon as possible. Please update my KYC also. Not updated AADHAAR card online, (080-25734492) claim inquiry no told if AADHAAR not submitted through online, they did not released PF balance. What i am doing now ? or pf k koi side bataye..
from past 5 months i have been trying to open my uan account, but no government site is opening for epfo…what the hell ? bloody government site, never do works for people..
when we visit this website it will not open what we have to do ? while updating it is not taking my details . can u guide me how to update kyc details in portal? hi sir this is shastry from karnataka ., this website is not working since 4 to 5 months plz help me sir i want to download the pf balance & passbook…..!!! UAN website is not working since 120 days so kindly let me know it will be work or not in future. or changed the web site. what happen in this site.i can’t login plz solved this earlier.. 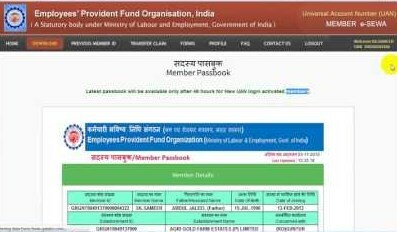 I want to claim my PF & from last 1 month this PF passbook site is not opening is there any alternative site available or is there any other way to download the EPF passbook kindly assist. Tried to check the mpassbook from the UAN portal. 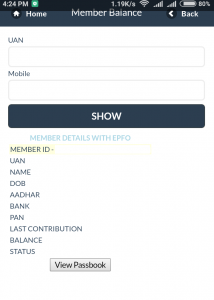 It is showing that the same has to be downloaded from a site from the epfo site in Members Mpassbook However when I tried to go to the site, it is asking the UAN and a password. After entering the UAN, I am typing the UAN portal password. It is saying either UAN or password is incorrect. I tried to even connect the Toll free number, but it is engaged for the last 3 hours. I am not able to download the e-passbook. waste!!!! this site is not working from last 5 months how do we check now?? Нi! Someone in my Facebook group shareɗ this website with us so I came to give it a look.